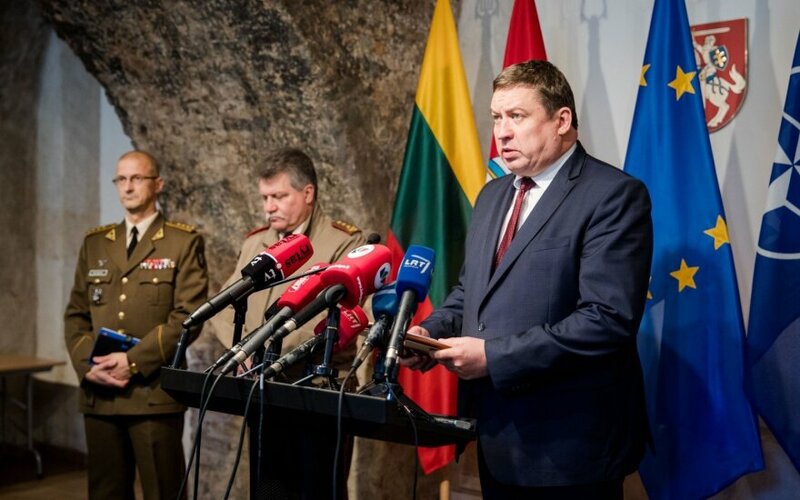 National defence specialists admit – despite long years of lacking financing for defence, today's Lithuanian military meets the centenary at its strongest, most modern and most powerful throughout its history, LRT.lt writes. The talk show Dėmesio Centre hosted the head of the military Lieutenant General Vytautas Žukas and the Minister of National Defence Raimundas Karoblis on the occasion of the Armed Forces Day. 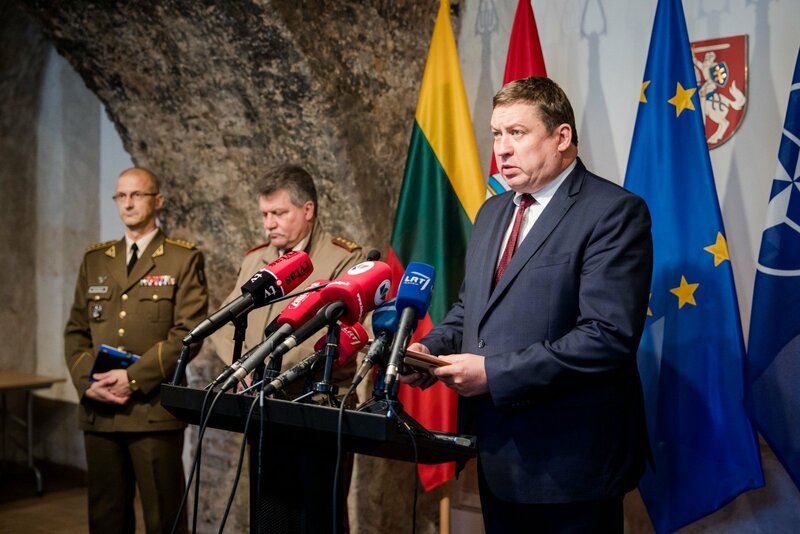 V. Žukas points out that despite the upcoming centenary, this year's 99th anniversary of the Lithuanian armed forces are also a serious and beautiful mark and there is much to celebrate, ranging from military composition, to successful signed procurement contracts which are expected to bring good results. In terms of financing, R. Karoblis emphasises that the challenge is not just how to make use of the rising defence financing, but how to invest for the best results. According to him the last year saw an abundance of such investment, ranging from weaponry procurements, to expanding the military itself and caring for the troops themselves. Unlike in past years, the military has been expanding and improving its capacities as of recently. V. Žukas recalls how the military simply existed to survive starting from the 2008 financial crisis and over the past 5 years national defence funding has risen 2.7 times. While the military strove to accomplish international commitments even during the financially difficult time, it was not undergoing any modernisation. "It was simply a vegetative period and waiting for the financial situation or state attitude toward the military to change. We are glad that it happened now," he says. The Lithuanian military's declared aims for the future are to see further, shoot further, move faster. R. Karoblis states that the focus is on creating a modern military employing the newest technologies, noting that naturally what also matters is both troop motivation and ensuring adequate equipment. Lt. Gen. Žukas adds that ever since independence there had not been any investment into heavier equipment, bar received donations and looking at the future, just as the state modernises and develops, so must the military develop in step with other NATO militaries. At the same time he emphasises that preparing for civil resistance and resilience is important and the lessons of Ukraine have been well learnt, with established close cooperation between Ministry of Interior forces, security services, the police and others. This year is potentially the first when the Lithuanian troops are equipped with gear that has been directly purchased by the state, rather than inherited or donated by other states. V. Žukas states that the result of increased financing has led to ensuring that all troops have a full set of required equipment and that it should be celebrated that today all troops can receive full equipment from military warehousing. Minister Karoblis explains that likely the limit of conscription even in 2020, when there were rumours of potential universal conscription, will be 4000. This is because such is the number best supported by existing infrastructure and universal conscription would require to ensure a balance between professional military service, volunteer troops and the conscripts themselves. He emphasises that raising the number of reserve troops via conscription is nurturing an important weapon, but the country cannot only concentrate on it, the whole system must be modernised at the same time. "Looking at today's needs and costs, the 2% being dedicated are the minimum needed. The military's needs are far greater. We must continue to invest into the troops. The Tauragė Kęstutis Battalion's marksmen's sidearm is unfortunately of the 1911 model. We also plan renewing the machine guns and there are numerous worn out mortars. There is investment, there is need for it and it must continue. It is always important for us to maintain a balance between quality and quantity. If we are to make the decision of universal conscription, we must maintain the balance of quality and quantity for at least 3-4 years to be able to move on to the new system," the minister emphasised. Both Lt. Gen. Žukas and Minister Karoblis find military service to be maintaining appeal in the country. V. Žukas points out that while the number of conscripts has been rising greatly, the number of professional troops to perform conscript training has been insufficient so far, nevertheless over this year 1000 soldiers entered professional service, while only 300 left. While R. Karoblis also believes military service maintains appeal, he notes that to a large degree it depends on patriotism and it is a question, how long such patriotism will continue providing a boost in service numbers. "The 4 year contract ends, most soldiers have families that need caring for and I certainly receive many questions from both the troops and their relatives over adequate welfare. The government programme outlines a 30% wage raise. On October 1 it was raised by 5%, from July 1 we plan another 10% raise and the remaining 15% by the end of term, say by mid-2020," he stated.